The lead FBI agent in the recovery of evidence from the bomb site at the Boston Marathon is expected testify today in the jury trial of Dzhokha Tsarnaev. FBI Special Agent Sarah DeLair began collecting evidence just hours after the blasts at the crowded finishing line on April 15, 2013, she testified Tuesday, Reuters writes. Today is the fifth day of the trial. 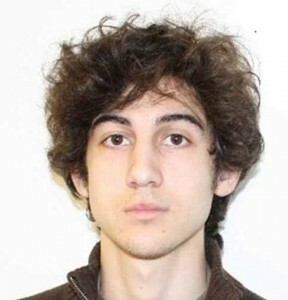 Tsarnaev is charged with killing three people and injuring 264 with a pair of homed bombs. He also is accused of fatally shooting a police officer three days later. Tsarnaev is admitting he committed the crimes, but he wants to be spared the death penalty by showing that he was following the lead of his older brother. Posted: 3/11/15 at 8:47 AM under News Story.